Every year, millions of computers around the world are infected by all sorts of malware, most often categorized as “viruses” by many average computer users. In this post, we give you a brief description of what a malware is and its common forms. We hope that this post will be a useful reference for our ever-growing Windows community. How to tell if your computer is infected by malware? What is malware, virus, trojan, worm, etc? How to remove malware from your Windows 8 and Windows 10 PC? How to protect your computer from malware attacks in the future? Before we proceed to the main topic, we would like to remind you that we accept requests for assistance regarding their Windows computers. If you have a problem that you can’t seem to find a solution to, send us your issue by following the link at the bottom of this page. Just remember, windows problems can sometimes be difficult to diagnose so kindly make sure that you give us very detailed description of the problem. You want to mention relevant history that may have led to the issue. The more information that you can provide, the higher the chance of us diagnosing the issue more efficiently. We also expect that you mention whatever troubleshooting step/s that you may have done before contacting us in order to prevent repeating them in our article. Again, more details you can give us, the faster it is for us to pinpoint the cause and its corresponding solution. Although a specific malware may affect a computer in a particular way, there are general telltale signs that users must be aware of in order to detect malware infection. Advanced users will usually notice these signs more easily but we still encourage average users to watch out for them every time you use your computer. PC frequently crashes, abnormally slow, or completely locks up during regular use. If your computer’s screen keeps turning blue after it crashes, that can be a major red flag of a malware infection. Not all blue screen of death errors are due to malware though so try checking other symptoms to see if they can give you more hints. Task Manager keeps failing to load and virus scanner (Windows or third party) won’t open at all. A lot of effective malware today are designed to neutralize a system’s antivirus program first so they can work unhindered. If you often find your antivirus program turned off without your knowledge, a malware must be present in the system. Unwanted pop ups keep showing up. Certain security pages like Windows Live update won’t load. Browser home page was changed to something else. Sometimes, the usual method of changing the home page is futile as the unwanted home page keeps returning. Browser has additional component or icon (also called extensions or add ons) you don’t remember installing. Spyware are sometimes disguised as additional toolbars in a browser. If you can, make sure to remove unwanted toolbars immediately. Hard drive appears to work excessively even when you’re not using the computer. Most computers usually has an LED light indicator for the hard drive. If this light appears to light frequently even when your PC is idle, that may be another sign of a virus propagating or other forms of malware doing their thing. Having one or two of these symptoms in your PC does not necessarily mean malware infection as other hardware or software issues can also lead to some symptoms mentioned, but it’s still worth checking further. Being paranoid in today’s digital world is a good mindset as it constantly reminds you to be security-conscious. Keep in mind that there’s no easy way, even for security experts, to pinpoint malware infection, much more to remove them. If you really thing that your PC may be infected, we hope that this post will help you get rid of it. Before we proceed to the things that you can do to remove a malware, let us give you brief description of the adversaries you may encounter in your system. Malware or malicious software is a blanket term for all the bad software primarily designed to steal information from, allow other malware to enter to, and do damage to, a computer system. Malware includes worms, viruses, trojan horses, spyware, and rogue security software. A computer virus is one form malicious software that’s designed to wreak havoc in a system by corrupting or deleting data on a computer. It can often jump from one computer to another via email or instant messaging platforms. Depending on how a particular virus is designed, one can spread in a network of computers by attaching itself in an email. When a user opens such attachment, the virus spreads to a new system and sends itself as email attachment again to a different one. If you are not expecting an attachment from a certain contact, make sure that you don’t open it. Viruses can sometimes disguise themselves as popular icons, audio files, videos, funny images, or .zip attachments. If you are fond of downloading from unverified sources, you ran a higher risk of infecting your system as some viruses can spread via downloadable contents. Other pirated software can also host them so make sure that you only download from a known source. Torrent files are notorious for spreading viruses so stay away from them as much as possible. If you suspect that your machine is infected with a virus, the first thing that you want to do is to ensure that all available updates from Microsoft are installed. If you can’t do that anymore because the virus doesn’t allow you to, the next good thing to do is to run the installed antivirus software. If you don’t have one from a third party vendor, consider using Windows Defender software. If you did install Windows Defender before and your computer is not connected to the Internet, use another computer to download Windows Defender Offline and move it to a blank CD, DVD, or USB flash drive. Any of these medium should have at least 250MB of free space. Another form of malware that can reside in any computer is a trojan, or a trojan horse. 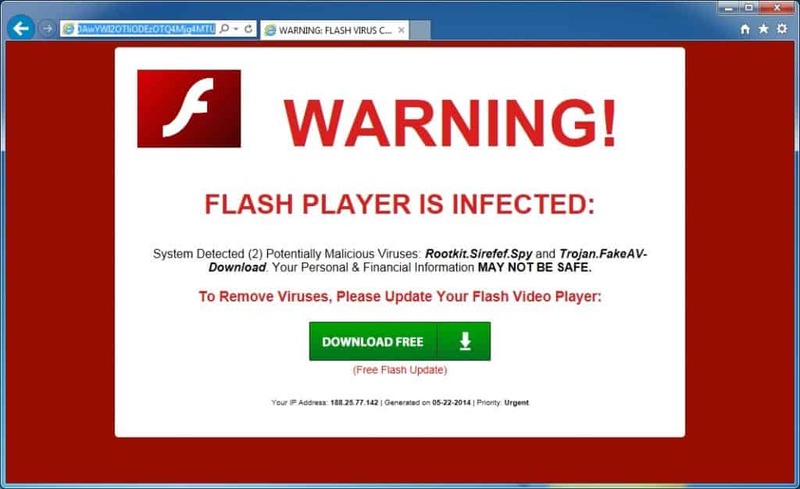 Unlike a virus, a trojan is often harmless in itself because it’s not designed to corrupt or steal information. But like in Greek mythology, a trojan horse’s real danger lies in the fact that it can pave the way for other malware to enter a system, or a hacker to gain access to an infected device. Like other forms of malware, trojans can gain access to a system via illicit software from the internet, email attachments, or with help from another virus or worm. Worms are often spread by emails in the form of attachments so just like in preventing virus infection, always be mindful when it comes to opening attachments. Technically, a worm is a special code that replicates itself in a computer network with the intent of spreading more malicious codes. The real problem with worms come from its ability to overwhelm a system by spreading more malware, consuming huge bandwidth and sometimes even deleting files. The difference between a computer worm and a virus lies on their ability to spread. Worms are self-replicating and can spread in a computer network without input from its developer. You can say it has a mind of its own by automatically spreading itself. Like any malware, worms exploit operating system vulnerabilities so the best form of preventing it is by making sure that you install operating system updates regularly. Spyware is a malware that usually installs itself in a computer without letting a user know first. As its name suggests, this malware is designed to gather information from a system and can sometimes be used to modify computer configuration. Most common types of spyware work together with another software that displays ads or advertisements (adware). While spyware tends to gather sensitive data, compromise your system and your personal information, it may not necessarily damage your computer. Removing spyware can sometimes become difficult as hackers design them that way. Spyware can also change your web browser’s search or home page without your consent. Sometimes, add ons may suddenly show in your web browser which may turn out to be difficult to remove later. In a worst case, a spyware can cause severe slow downs that using your computer normally may be an annoying experience. Another form of malware that can compromise your system is the one we call rogue security software. This is a software code that usually displays a warning about virus infection in your PC like the one shown below. It pretends to detect a virus or malware but will then ask you for a fee if you want to remove. Sometimes, rogue security software will claim that another software can remove it if you’ll install it first. The threats are often unfounded of course. The main objective of a rogue security software is to trick a user to pay for something that doesn’t exist so make sure you don’t fall for it. Some of such software often mimics the look of legitimate security software so don’t just click on anything that shows on the screen. To avoid installing rogue security software in your PC, you must take the same measures as preventing other malware. Avoid downloading illicit software from untrusted source and make sure that you know what software you are installing in your PC. Some freeware (free software) are usually bundled with other programs and if you’re not careful, you may introduce a rogue security software unknowingly. If you receive a message in a popup dialog box that resembles a warning, press ALT + F4 on your keyboard to close the dialog box. Do not click anything inside the dialog box. If a warning, such as the one here, keeps appearing when you try to close the dialog box, it’s a good indication that the message is malicious. 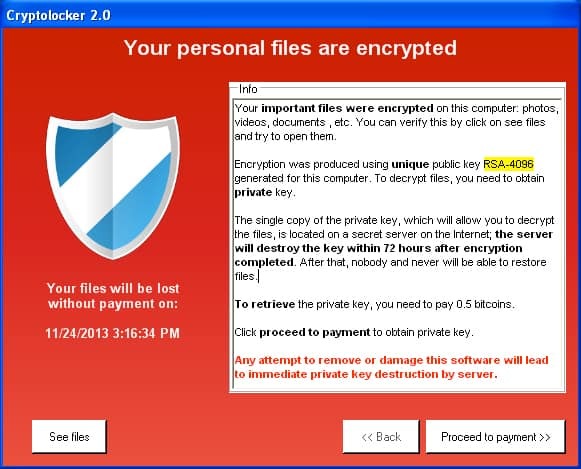 Considered the newest form of malware that hit mainstream users, ransomware is a software program that can hold your machine captive so its developer can then blackmail you to pay a fee to free it. This malware works by installing itself to a computer without user knowledge first, then establishing itself into a machine’s files that are difficult to reach. Once these processes are done, the malware then locks the system and displays a message asking a user to pay in order to unlock the device. Demanded ransom varies anywhere from $25 to $600. The thing is, there’s no guarantee that paying the ransom will give you back access to your computer or files. Disconnect your computer from the internet. Some malware are designed to send whatever data or personal information they’ve collected to their masters so as soon as you suspect that your PC may have been infected, cut it off the web right away. Doing so in a timely manner may save your information from being collected by hackers. Boot your computer to safe mode. Windows PCs can be booted to a diagnostic mode that can only allow essential programs and services to run. If the malware in your PC is designed to run automatically when you boot the device normally, doing this step should prevent it from loading. This will also allow you to remove files easily since they will not be running. b. A search menu should appear. The menu should display “Run”. c. Left-click or tap the Run icon. d. Type “msconfig” in the run command prompt. g. Put a checkmark on the Safe boot box. i. You are informed that you need to restart your computer. Click Restart or Exit without restart depending on whether you want to restart now or later. j. At the next restart, your computer will then boot to safe mode. If you notice that your computer seems to behave normally or has become way faster, that’s an indication that it may be infected with a virus or other types of malware. Scan your computer using the existing security package. If you haven’t installed any third party antivirus, use Microsoft’s free Windows Defender security software to do the job. When dealing with prevalent and known malware, Windows Defender is relatively effective so don’t hesitate to do it. If you do have another security software, use it to scan the system. Make sure that you install the latest update for your security software before running a scan. Try to avoid installing more than one third party security software at one time as this can slow your computer’s performance and may result to problems. If you want to switch to another third party security software, make sure that you uninstall the first one first. There are two types of antivirus programs — real-time and on-demand. Real-time antivirus programs are those types that constantly run in the background scanning the system for malware. On-demand antivirus programs are those that searches for malware only when you tell it to run a scan. Make sure that you only have one real-time antivirus program running at a time. You can install a few of on-demand scanners though so you can have multiple different programs do a manual check. This will help ensure that nothing is missed, in case one misreads a malware at first. a. On Start menu, scroll down to Windows System > Control Panel > System and Security > Windows Firewall. b. Select Turn Windows Firewall on or off. You might be asked for an admin password or to confirm your choice. c. Under the appropriate network setting, select Turn on Windows Firewall. 2. Install all available software updates. Keeping your phone’s software up-to-date should be a given but if you turned off Windows automatic update feature, make sure that you enable it back on. 3. Avoid downloading software from unknown developers or source. This is one of the easiest way to infect your computer with malware. If you can’t live without installing a particular software but you are unsure if it’s safe or not, try using Google to see whether anyone else has reported it as a malware. 4. Read all security warnings, license agreements, and privacy statements that are associated with any software that you download. This may seem a chore but you must do it if you want to avoid installing software bundle that may include suspicious programs. 5. Never click “Agree” or “OK” to close a window that you suspect might be spyware. Instead, click the red “x” in the corner of the window or press Alt + F4 on your keyboard to close a window.